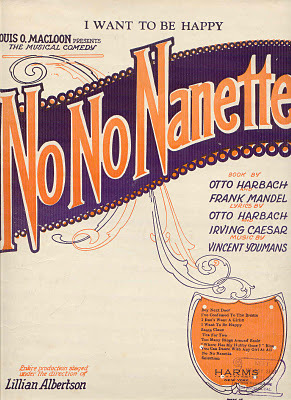 “I Want To Be Happy” is the other popular song from No, No Nanette (the other being “Tea For Two.”) It’s been steadily recorded over the years, including those by Bing Crosby, Red Nichols, Benny Goodman, Ella Fitzgerald and Sonny Rollins. “I Want To Be Happy” was recorded on January 25, 1971 and released that year on the album Love Story. “I Want To Be Happy” was recorded on January 31, 1971 and released that year on the album Get Happy with The London Philharmonic Orchestra. It was arranged by Ralph Burns.